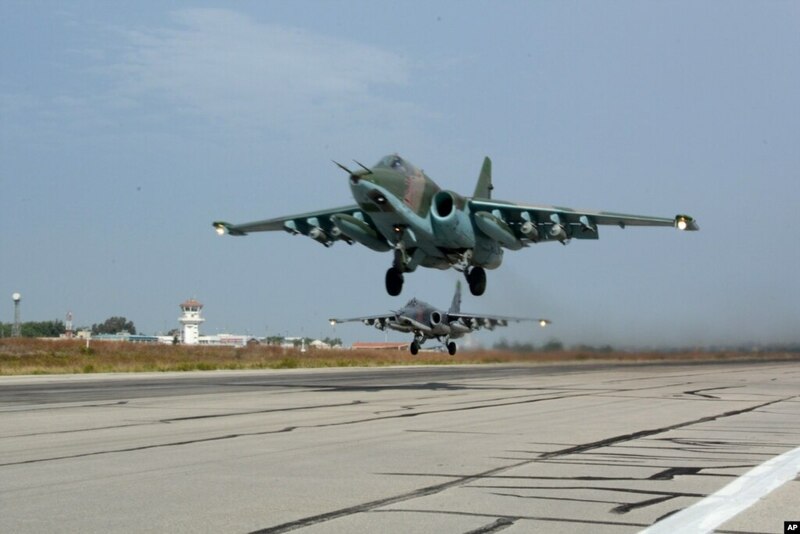 HEMEIMEEM AIR BASE, Syria — Dozens of Russian warplanes sat idle Tuesday on the tarmac at this Russian air base in Syria on the fourth day of a cease-fire brokered by Moscow and Washington. The cease-fire that began at midnight Friday has brought a notable reduction in hostilities for the first time in the five-year war that has killed more than 250,000 people, displaced half of Syria’s population and flooded Europe with refugees. The Islamic State group and al-Qaida’s branch in Syria, Jabhat al-Nusra, are excluded from the truce. For President Vladimir Putin, the cease-fire deal offers a chance to capitalize on a successful air campaign that has helped Syrian President Bashar Assad’s military reverse the tide of war and make significant gains near Aleppo and in several other areas. The U.S.-Russian-brokered truce agreement achieves Putin’s key strategic goal of having Moscow appear as an equal partner of Washington in tackling the Syrian crisis. The deal raises Russia’s global clout, allows Putin to appear as a peacemaker and marks the first time Russia has engaged the U.S. in a military-to-military dialogue since the start of the Ukrainian crisis two years ago. By exchanging target information with the U.S., Moscow also hopes to deflect Washington’s criticism that it was striking moderate opposition groups instead of its declared target, the Islamic State. The truce comes at a time when Assad’s military has cut most supply routes to Aleppo, Syria’s largest city and its commercial capital before the war. that has been split into government- and opposition-controlled parts since 2012. The Syrian army’s successes around Aleppo and in other areas have strengthened Assad’s hand ahead of planned peace talks in Geneva tentatively set for next week. The cease-fire’s success is seen as essential for resuming peace efforts. The Hemeimeem air base is located in the coastal province of Latakia, the heartland Assad’s Alawite minority, at a safe distance from the front lines. Still, the base’s personnel maintain the usual strict security routine, with soldiers armed with assault rifles deployed around its facilities and helicopter gunships buzzing the perimeter to spot any possible threats.